now testing various physics and sounds. ....great mod, and i like this WTCC Cars. @Triebie wrote: cars are done. When will it be 100% complete? Now i have to wait for a Telecom fix first before i can upload the 1.0 mod. ....still fumbling around with physics and they definitely won´t be final. The cars though are 100% all done and ready! finally installed Automobilista, thanks for releasing these cars for AMS, will give it a try later. @Triebie wrote: finally back online! Nice work , but no AMS or Steam for me . Think you convert one day your mod on GSCE ? Or Gtr2 ? Fantastic job! Thank you. Cars look great! Maybe look at mirrors, they are reversed. But cars are fantastic. Thank you again. Please post all mistakes you find so i can come up with an update asap. BTW, new and improved skins are welcome! reversed mirrors is an easy fix! A Hungarian simulator company called SIMCO, who has advanced knowledge in physics development for rFactor2, is interested in helping you making this awesome mod available for rFactor2. 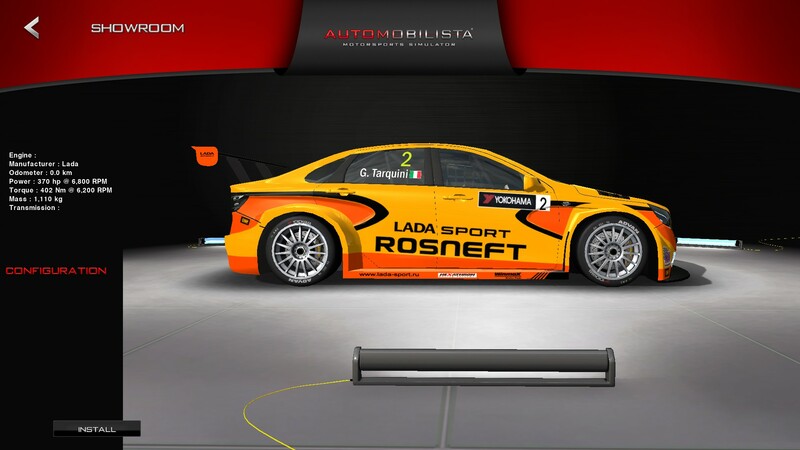 The SIMCO team has a good relationship with the Hungarian team in WTCC called Zengő motorsport, thus they would make many data available to improve both the rFactor2 and the AMS versions of the physics. Would you be so kind and give an e-mail address of yours, where the further discussions could be made? Thanks a lot Ulf, can't wait to have a go with them this weekend! Thanks for the mod, I try it later, I just check it in game. To be hones shaders are terrible and Lada car model is sooo wrong... when I compare lada model from profile, to the real pictures, its just way off. Yeah, Lada and Volvo models are quite bad, but I know its not your fault as they're not your modell and they are still useable. But my biggest quesion is: Why are the cars RWD? because my reworked FWD physics are not quite matching with the 385 HP engine. I still have to make more trials to find a good balance. As i wrote in the release note, physics are not final.